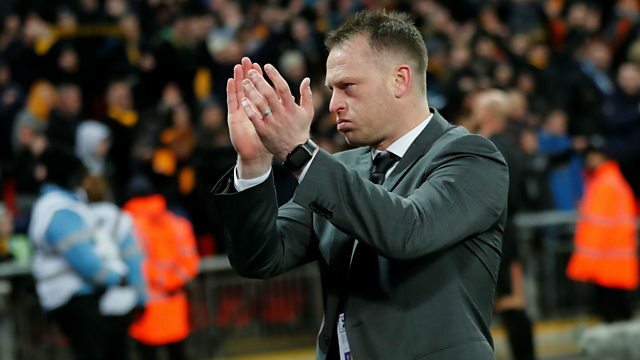 Reaction from Wembley as Tottenham Hotspur beat Newport County 2-0 in the FA Cup fourth round replay. You'll hear the thoughts of Newport goalkeeper Joe Day, former Wales striker John Hartson and Times journalist Henry Winter. Plus we'll bring you an extremely honest interview with Accrington Stanley striker Billy Kee, who has spoken openly about his struggle with severe anxiety and depression.